Austin City To City Transfers is available 24/7. 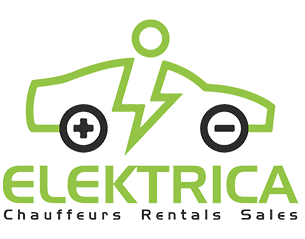 Book our Tesla rental services to get reliable, professional transportation for you and your clients. We use our Tesla Shuttle service to transport passengers from Austin to Houston, Austin to San Antonio, Austin to Dallas and even out of state trips. Book your trip with professional courteous drivers, easy transportation booking app and more. Need transportation from Austin to Houston, book our Tesla, SUV or minibus and get to Houston fast and easy. We have an app to make your booking experience easy. The trip to Houston takes less than 3 hours from most locations in Austin including Round Rock, North Lamar, Downtown Austin and Buda. Needing a lift from Austin to Houston. Book out Tesla, SUV or Minibus through our app and get fast and reliable transportation from Austin to Houston. Many book this service when flying in on Austin Bergstrom Airport then flying out of San Antonio Airport. Have special requests? Our drivers will provide, Live TV, Wi-Fi, Phone chargers and artisan water. Our entire fleet are permitted as limos which means you can enjoy whatever beverage you would like on your trip. We can handle all your corporate, business events and corporate party transportation. Elektrica offers a unique selection of cars with Tesla Model S, Tesla Model X, and Tesla Model 3’s. Check out our Lincoln Navigator SUV and Limo’s for more space and leg room.